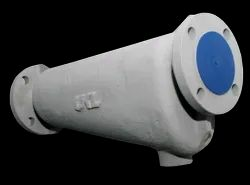 Design, Manufacturing, Supply & Exporter of of Steam Separator. Offering you a complete choice of products which include Steam Separator and Moisture Separator. Our organization is engaged in manufacturing, exporting and supplying a vast range of Moisture Separator. This Moisture Separator is broadly used in different applications by various industries, all over the country industries. Our Moisture Separator is manufactured according to the market standards by using quality assured material & leading edge technology. Customers can take this Moisture Separator from us at affordable rates.